So I had to return my Vivoactive HR because it leaked when swimming in the sea, at 12 months and 2 weeks old. Almost instantaneous red colour appears, then over the day my skin peels and falls off. This gets continually worse unless I leave them off for a week or two and it clears up. And it’s not just the strap area by the looks of it. Contacting Garmin I was told to wash it (by a number of different folk, in a number of different ways – IPA, water, soap and water, leave it on in the shower, take it off in the shower) – thanks, like I don’t wash lol I tried all of the above, none of them work. 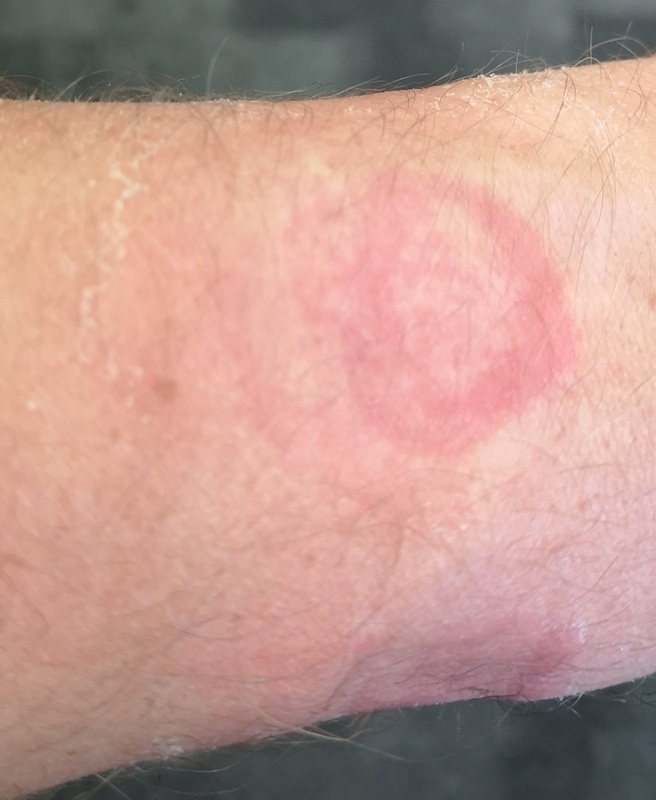 The only answer, to using a watch designed to be kept on 24/7, is to take it off for a week at a time, or put up with my arm peeling and looking very angry. 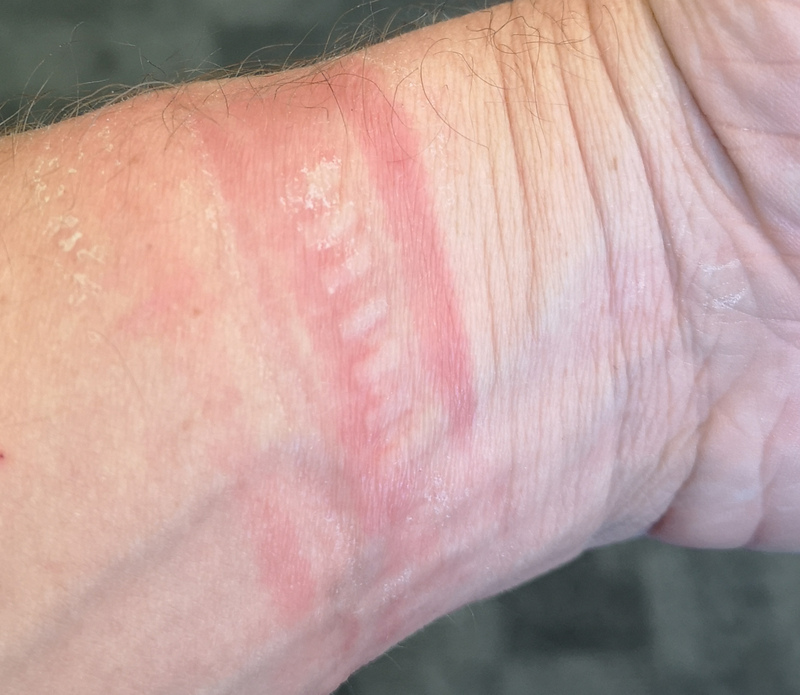 This doesn’t happen as much with a cheapy chinese stainless steel strap (only around the watch body area, not the strap) so it looks like the primary cause is the strap material. It happened with my VAHR too. Unfortunately there’s no decent alternatives out there other than a half kilo of stainless. I’ve no idea if it’s an allergy, some form of irritation, or what. But it’s not really acceptable. If Garmin would hurry up and release the Ti strap I’d be really happy, other than the price tag which is half the cost of the watch again for a strap.